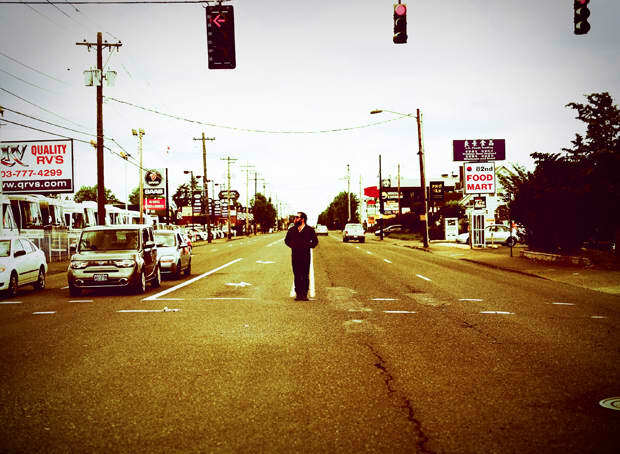 Fans of Ray Raposa's Castanets project were probably in it for the way he made the entire world seem like one desolate road full of roadside motels and nothing else except suspicious guys in cowboy hats. It's a weirdly appealing sound—basically the musical equivalent of Cormac McCarthy's glamorously dark loner characters, looking for truth in a world where there might not be any. Castanets have been quiet for awhile now, but Raposa is back with a new project, Raymond Byron & the White Freighter. The idea is the same, but there's a little less sadness and a little more wisdom to the new material. Raposa still sounds past the point of emotional defeat, but there's an adult sense of control hidden behind his voice too. Listen to his cover of Dan Reeder's "Never Surf Again" which comes from Little Death Shaker out September 4th on Asthmatic Kitty. Download: Raymond Byron & the White Freighter, "Never Surf Again"